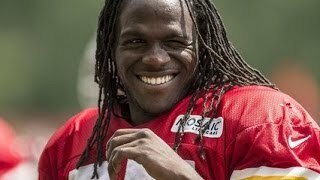 Jamaal Charles | Three-time Pro Bowl running back Charles is the heartbeat of the Kansas City offense and one of the top performers in the league. Alright that's it, I'm trying out for my highschool football team, I may have missed my shot this year, but next year is my chance. No excuses this time.